This is upgraded and has an unusual metallic finish. 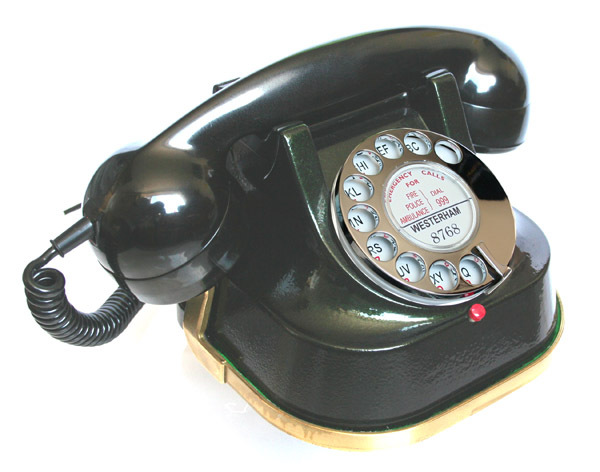 This is a lovely model and is commonly seen here in the UK an often known as the kettle phone. 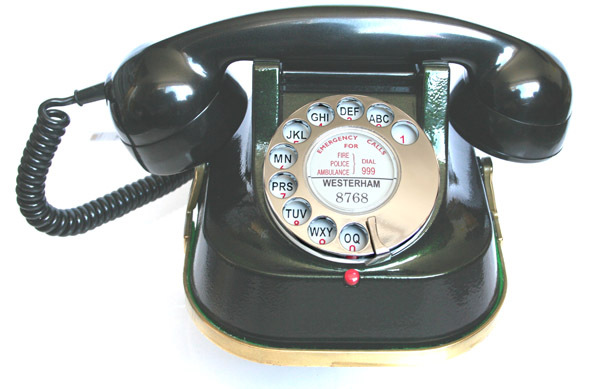 This one has been upgraded with a quality GPO 21a dial and an electronic microphone. It has also been fitted with an alpha numeric dial back and a chromed finger dial. It has been stripped, re-finished in black and then coated with a metallic lacquer giving a lovely green tint and depending on the light conditions and the angle you look it sometimes has a metallic red tint. (This process is done for me and takes some time and is expensive). 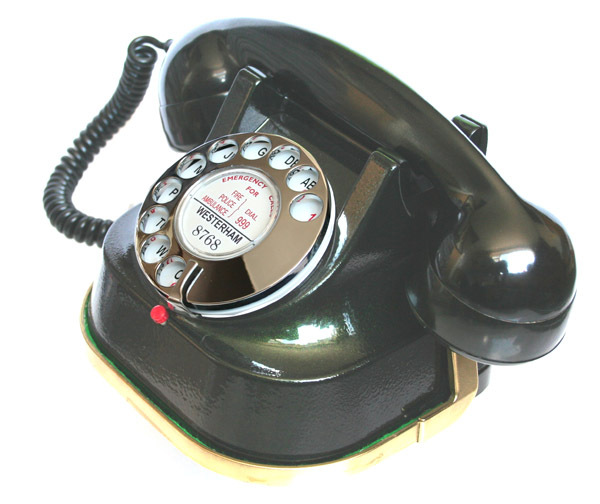 It is working perfectly to both dial out and receive and has a lovely double bell ring. I can make a dial label at no extra cost with your information.